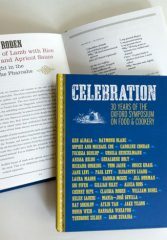 • 38 essays by international scholars •The Oxford Symposium on Food & Cookery celebrated its thirtieth anniversary in 2011. 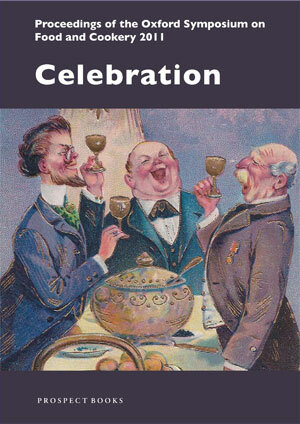 In keeping with this happy event, celebration was the subject of this year’s meeting. 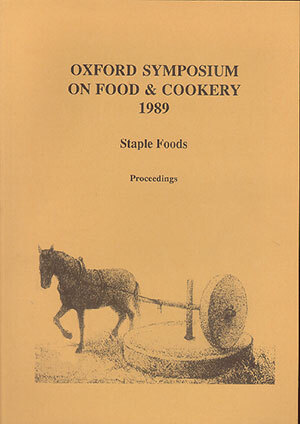 Symposiasts have taken their usual broad and generous approach to the topic. 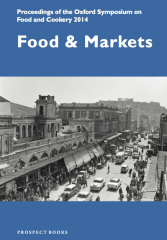 So papers range in geographical relevance from highland Equador through Transylvania, Anatolia, Congo-Brazzaville, Iceland, and old Los Angeles. 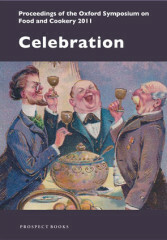 Chronologically too, several periods are addressed: ancient Rome, Ptolomaic Egypt, Ottoman Turkey, Georgian Dublin, and Victorian London.The occasions of celebration considered run from wedding breakfasts, birthday parties, Easter, harvest festival, and Passover, while the sorts of celebration include banquets, drinking bouts, the Icelandic thorrablot, and election day feasts.Authors include from America, Jonathan Brumberg-Kraus, Anthony Buccini, Sharon Hudgins, Charles Perry; from Turkey, Aylin Tan and Priscilla Mary Isin; from England, Robert Appelbaum, Andrew Dalby, Christopher Grocock, Gillian Riley, David C. Sutton, and from Israel, Susan Weingarten. 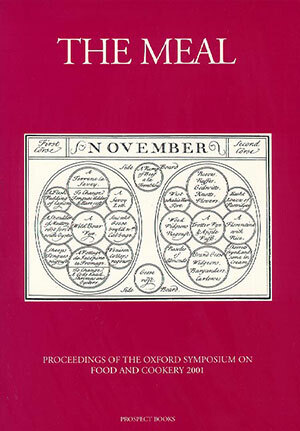 This volume, edited by Jill Norman, contains memories of the Symposium from some of the most prestigious symposiasts, from 1981 to 2011. 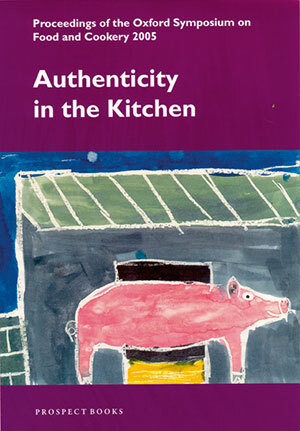 Contributors include: Theodore Zeldin on ‘What Recipes Reveal and Conceal‘, Ken Albala on ‘Breakfast’, Raymond Blanc on ‘Essence of Tomato’, Sophie and Michael Coe on ‘Borshch’, with a fine recipe, and Caroline Conran on ‘Cuttlefish Rouille’, again with two fine recipes. 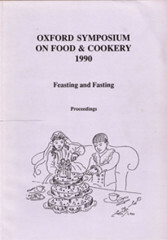 The illustrative material from the archives show how the event developed from a gathering of like minded souls, enjoying dinner together, to the current day fabulous celebration of food history, with over 300 people, enjoying curated banquets, now in the dining hall of St. Catherine’s College, every July. 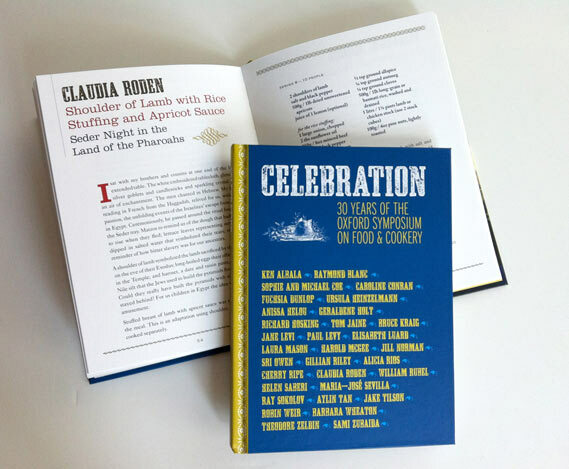 A fine record of this annual event, with menus designed by Jake Tilson, and a great collection to remember those who have now departed this earth, the coming stars and the redoubtable committee who work tirelessly on the event. 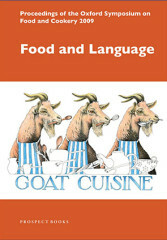 The contributors are amateurs and academics from five continents and the style is fully referenced and academic. The Table of contents, and one page of each of the first four papers from the conference can be found here. 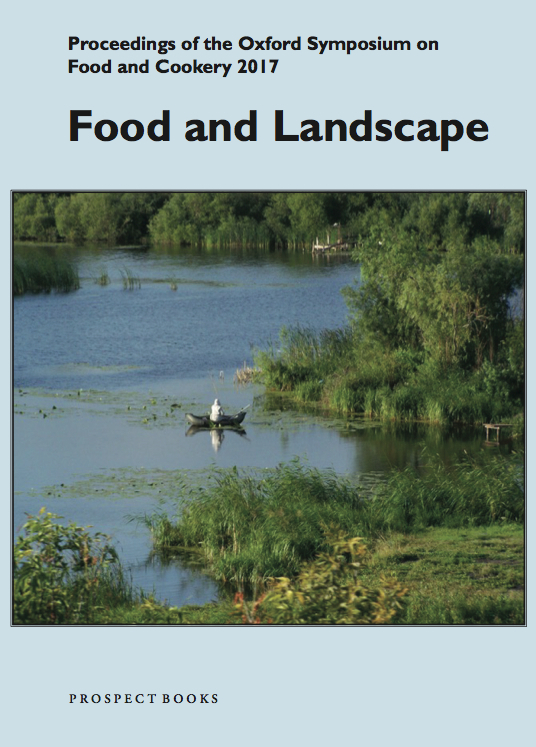 The table of contents, and one page of each paper from the conference. 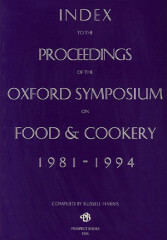 There was a fine range of papers submitted to this Symposium in 1991. The keynote talk was by Sami Zubaida The papers include discussions of the topic as reflected in conditions in Nigeria (Esther Balogh); Mexico (Sophie Coe); Transylvania (Andrew Dalby); Great Britain (Christopher Driver); British Hospitals (Bobby Freeman); Japan (Richard Hosking); United States (Tom Hudgins); Hungary (Louis Szathmary); and Ancient Greece (John Wilkins). 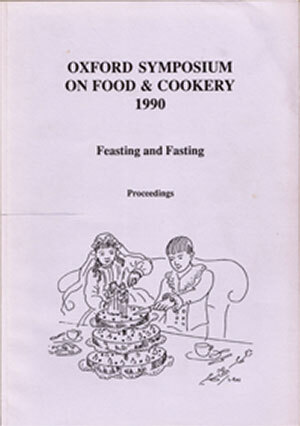 There was a fine range of papers submitted to this Symposium in 1989. 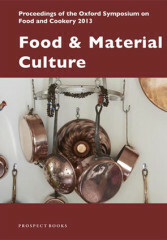 The keynote talks were by Keith Botsford in the staples of Italian cooking; the staple foods of the classical world, by Andrew Dalby; and a speculation on whether cuisines based largely on processed foods have any staples at all, by Erica Wheeler. 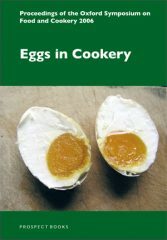 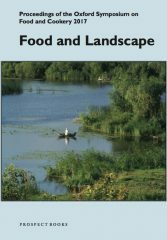 The sorts of foods discussed by the various contributors include rice, maize, polenta, wheat, other grains, potatoes, root crops, beans and herring. The Oxford Symposium on Food and Cookery continues to be the premier English conference on these topics, gathering academics, professional writers and amateurs from Britain, the USA, Australia and many other countries. 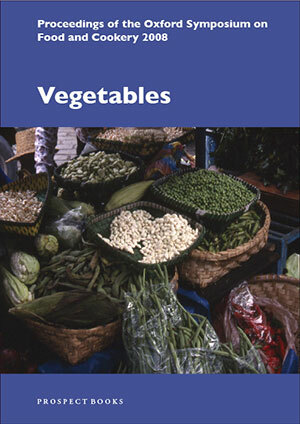 Prospect Books has published these proceedings since 1981 with a short break in 2001–2003. 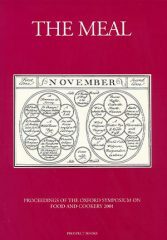 The scope of this volume is revealed from the list of contents below. 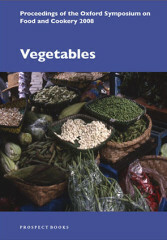 In this continuing series, the topic of vegetables embraces a wide range of pieces from English, American and overseas scholars. 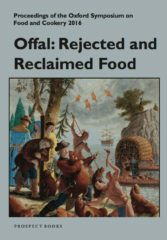 Their treatments encompass both a broader consideration of the vegetable diet and the history of the cultivation and consumption of specific varieties. 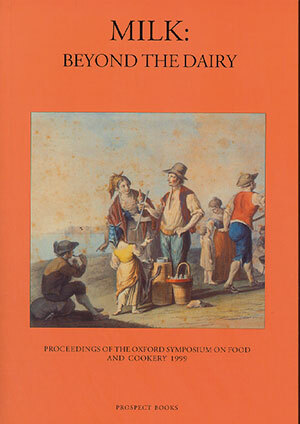 Cookery and consumption are not highlighted at the expense of cultivation, so there are some interesting essays on allotments, market gardening in the Paris region, early-modern vegetable gardening in England and the development of markets in India. 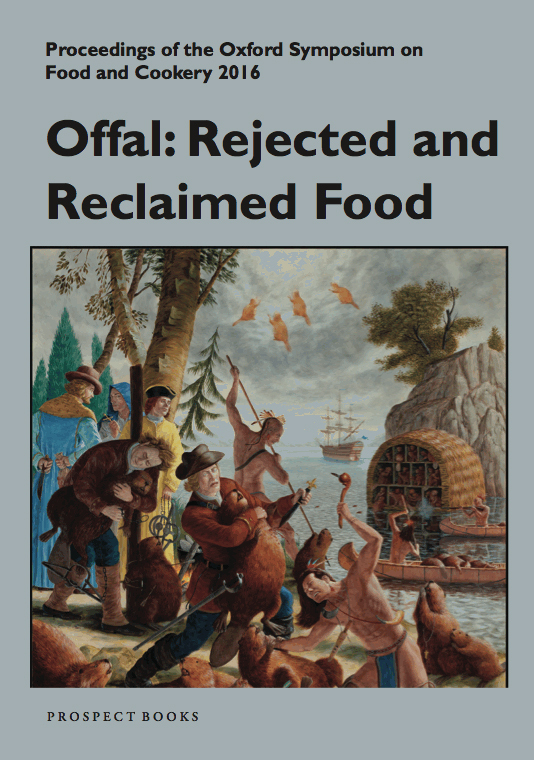 The theme has been treated with admirable latitude in contributions on vegetables and diplomacy, vegetable carving, and vegetables in Renaissance art. 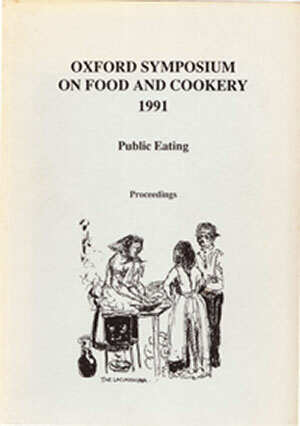 The Oxford Symposium on Food and Cookery continues to be the premier English conference on these topics, gathering academics, professional writers and amateurs from Britain, the USA, Australia and many other countries. 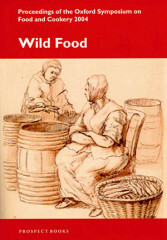 Prospect Books has published these proceedings since 1981 with a short break in 2001–2003.The 2004 Symposium on Wild Food: Hunters and Gatherers received a large number of excellent papers. Forty papers cover subjects as various as ginseng; wild olives; seaweed; angelica; imitation game in nineteenth century Germany; wild mushrooms; the pike; eating insects and the Mexican maize fungus, cuit lacoche. 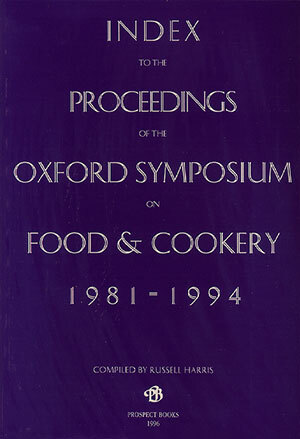 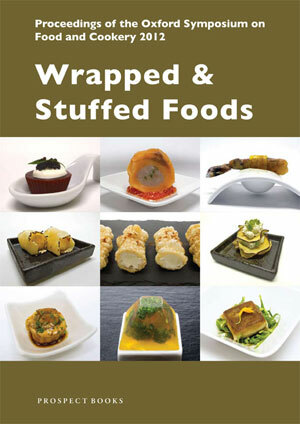 • 32 essays by international scholars •The thirty-first Oxford Symposium on Food & Cookery discussed wrapped and stuffed foods from every possible angle, and from every possible geographical perspective. This may include sausages on the one hand, or stuffed ravioli on the other. It may also go as far as pies and sausage rolls. 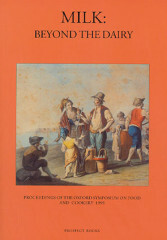 In geographical terms the Symposiasts were willing to look at cultures as disparate as Turkey, the United States, seventeeth-century England, Korea and Italy.There is also a pan- cultural discussion of stuffing and wrapping foods in avant-garde or molecular gastronomy.Contributors include the Chinese expert Fuschia Dunlop, the Greek cookery writer Aglaia Kremezi, the celebrated food writer and cultural historian from America Laura Shapiro, the Australian food historian Barbara Santich, the Israeli commentator and historian Susan Weingarten, and the English anthropologist David C. Sutton. 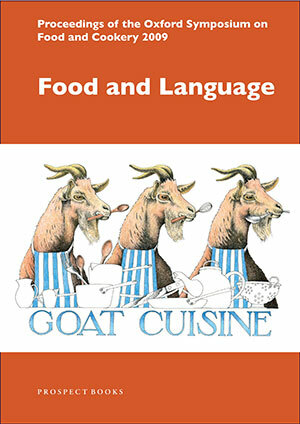 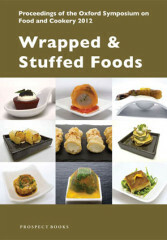 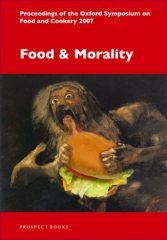 Titles of some of the papers include: The Pillsbury Bake-Off: Stuffed and Wrapped in 1950s and 1960s America; Chicken Kiev: Material, Social and Discursive Wrappings; Samuel Pepys’s Venison Pasties; Barbarian heads and Turkish dumplings: the Chinese word mantou; A Knish Is Just a Knish–or Is It? 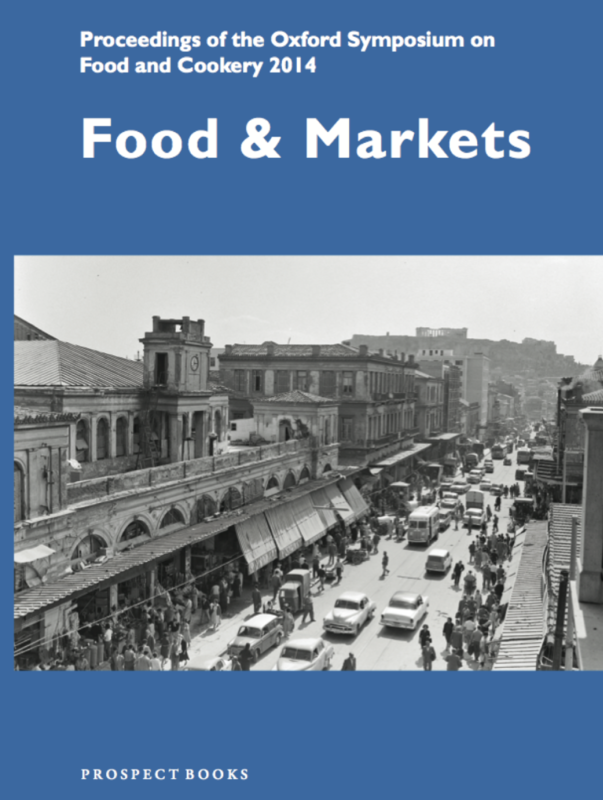 The Evolution of a Street Food to Haute Nosh and Before Dolma:A Taxonomy of Medieval Arab Stuffery.